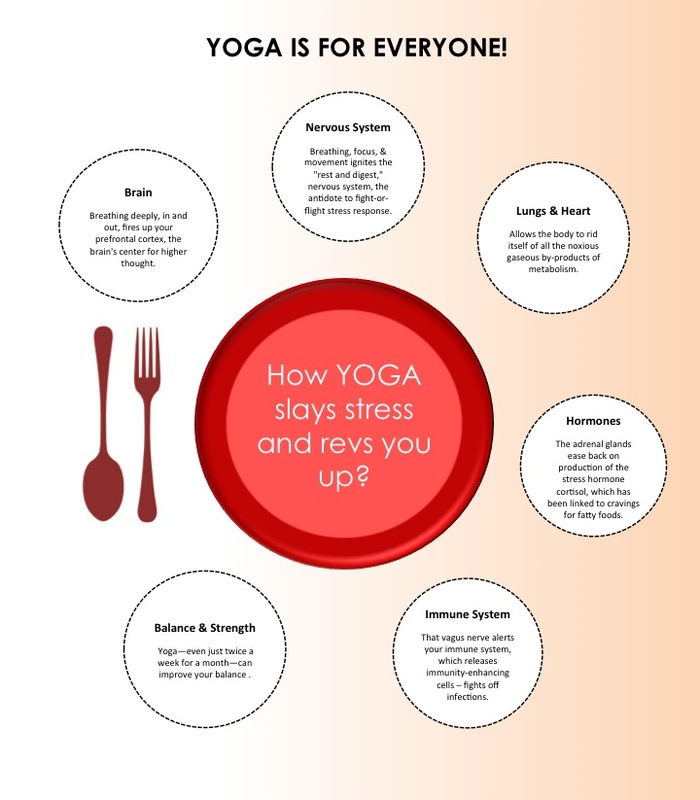 4 effective yoga poses to control diabetes! Being physically fit may not be sufficient to attain true health; one needs to be balanced on mental and emotional aspects as well. Hence, it’s important that we create a positive connection between body, mind and soul. Living in the moment will bring about real happiness. Everyone has their own definition of a healthy lifestyle – try to make health a priority but not an obsession. What’s important is how you make the best of your life that is presented to you. As soon as you start accepting everything that comes your way, you will live in the moment. Accept the present and move on! Chronic disease affects each one of us in one-way or the other. With one of the biggest threats to public health today, the rising burden of chronic diseases affects men and women almost equally, especially the younger generation. At least 80% of all heart disease, stroke and diabetes cases, and 40 per cent of all cancers, are preventable according to World Health Organization (WHO) estimate. There is compelling evidence to show that many chronic diseases share common causes. One way to keep diabetes in check is to create some time for regular exercise, and yoga is a simpler and faster way to control your blood sugar levels. Regular practice of yoga reduces stress and regulates blood sugar levels while it improves the functioning of insulin as well. Further, it controls your weight and lowers high blood pressure, thus slowing the progression of diabetes. Stand straight and keep your feet close to each other. Your knees, legs and hand should be held straight. Now bring your right foot and keep it on your left thigh. Try to make a right angle. If you are unable to keep your foot on the thigh, try to keep your foot on the left leg wherever you feel comfortable and maintain balance. But remember your right toe should point down wards. Your body balance should depend on the left leg. 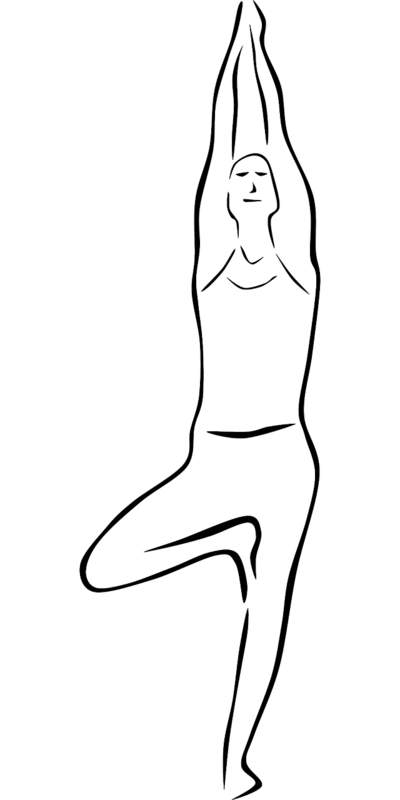 Join your palms and bring them to the middle of your chest and keep the figure pointing upwards. Slowly move your hands overhead. Raise your arms over your head. Your arms should be slightly bent. Stand straight, look in front and try to be relaxed. Stay in this position for about 10 seconds. Breathe normally. Slowly bring your hands in the middle portion of the chest same as before, bring your right leg to the ground and come back in the starting position. -Repeat the same procedure with the other leg. Try to repeat the whole procedure two to three times. Lie on your stomach with your feet hip width apart and your arms by the side of your body. Breathing in, lift your chest off the ground and pull your legs up and back. Look straight ahead with a smile on your face. Curve your lips to match the curve of your body. 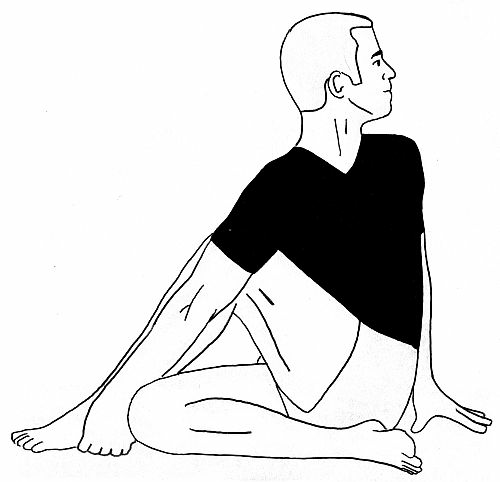 Continue to take long deep breaths as you relax in this pose. But don't get carried away. Do not overdo the stretch. After 15 -20 seconds, as you exhale, gently bring your legs and chest back to the ground. Release the ankles and relax. Lie on your back with your arms beside you, palms downwards. As you inhale, use your abdominal muscles to lift your feet off the floor, raising your legs vertically at a 90-degree angle. Continue to breathe normally and supporting your hips and back with your hands, lift them off the ground. Your back should be perpendicular to the floor. This may be difficult initially, but make an attempt for a few seconds. 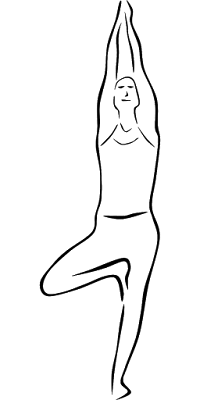 Hold this pose and let your body relax more and more with each steady breath.5 After about a minute (a few seconds for beginners) of resting in this pose, you may gently bring your legs down on exhalation. Avoid jerking your body, while bringing the legs down. Benefits: This asana massages the kidneys, pancreas, small intestines, gall bladder and liver, helping to stimulate digestion and squeeze out toxins. Useful for diabetics, with concentration on the pancreas. Increases the elasticity of the spine, tones the spinal nerves. Sit on the carpet, stretch the legs straight. Fold the right leg. Keep the right leg's heel touching the left leg's knee. Take the right hand to back of the waist twisting your trunk, spread palms inside and place it on the carpet. Bring the left hand close to right knee and hold the right leg's ankle or big toe with the left hand. Twist the head and shoulder to right side and look straight to the right shoulder's side (i.e back side). Feel good Be good & Do good!